While excavating a section of my sheet music filing cabinet the other day, I came across the sonatas of Ignazio Sieber (c.1680-c.1757). His six sonatas for alto recorder and basso continuo were published, probably in 1722, together with an equal number by Johann Ernest Galliard. Since Galliard’s name appears first on the frontispiece, I dutifully filed them under ‘G.’ No wonder I lost track of them for a while. Sieber certainly isn’t a household name but his sonatas for alto recorder and basso continuo are worth a look. We have very little biographical information on him, but see from the the publication’s title page that he was living in Rome (‘demeurant à Rome’) around the time his sonatas appeared in print. Not surprisingly, his writing for the recorder reflects the typical early 18th-century Italian taste for not extending higher than an E’’ and for hovering lower than that most of the time. Sieber hangs around in the high register more than Bononcini, Bigaglia, or Bellinzani for example, but he still doesn’t ask a player to spend a long time up where the air is thin. 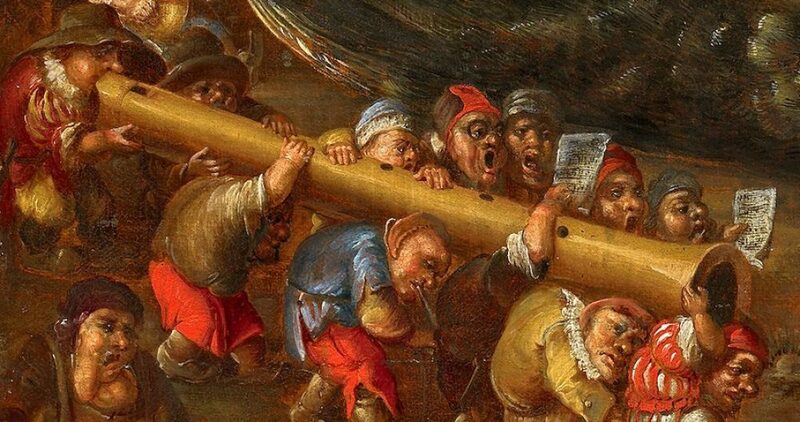 Italian recorders from the time have a beefy low register and a weedier high register than their German counterparts, for example, which would likely have affected how musicians composed for the instrument. Certainly more interesting and demanding than the Galliard sonatas that precede them, Sieber’s sonatas are in C major (two), a minor, and g minor (three! ), all key choices which echo Händel’s opus 1 recorder sonatas (also thought to have been written in Italy). The music is well written for the instrument, lies comfortably, it’s reasonably challenging, and he has a witty way with passagework. The slow movements include some examples of notated ornamentation but there’s much additional scope for a player to experiment with phrasing, articulation, pacing, and further elaboration. The continuo parts similarly offer a lot of opportunity for creative experimentation. Plus, if you’re looking to create a program of music from a certain city or region, in a certain style or by a particular group of composers, having repertoire like this is a real boon.